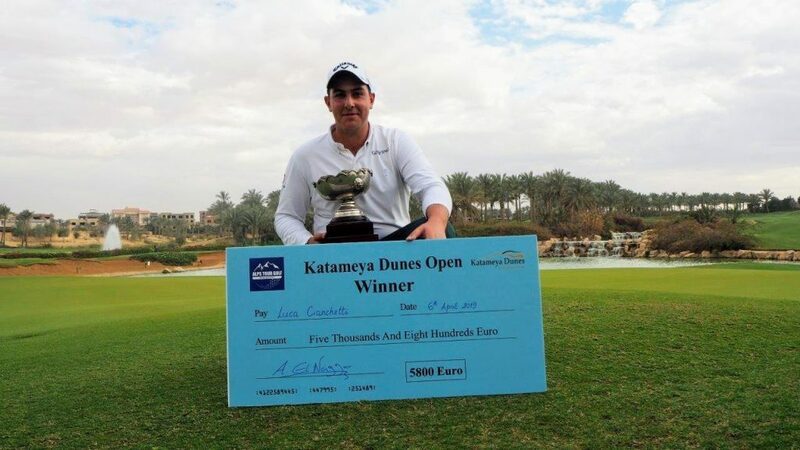 Italian Luca Cianchetti, 23, has won the first edition of Katameya Dunes Open with one stroke advantage over Englishman Andrew Scrimshaw, and is now 6th in the Alps Tour Order of Merit. 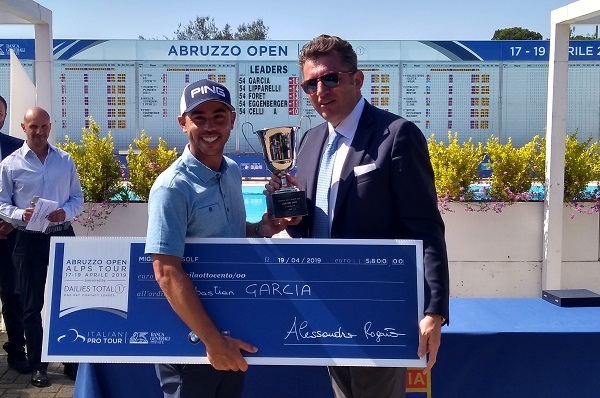 The last stretch of the Egypt Winter series is over and a new talented winner has engraved his name on the roll of honor of 2019 Alps Tour season. 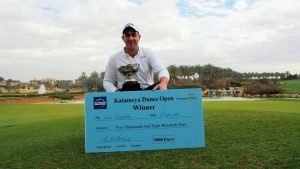 Italian Luca Cianchetti has grabbed his first win as a pro on Alps Tour on challenging Lakes course of the Katameya Dunes resort with rounds in 67-70-73, for an aggregate on minus 6, one stroke better than Englishman Andrew Scrimshaw and two over four players tied in third place – fellow compatriots Enrico Di Nitto and Federico Maccario, Frenchman Xavier Poncelet (leader after the first round) and Austrian Felix Schulz. 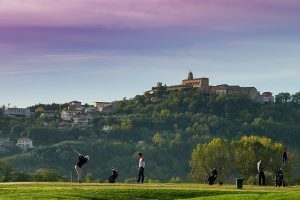 Cianchetti had already won on the Alps Tour, back in 2015 when as an amateur triumphed in the Abruzzo Open, and since turning pro, one and a half year ago, he has won the Italian PGA Championship last October, but the Katameya Dunes Open is his very first international win as a pro, one that comes after serious training during the winter both on the physical and on the mental side of the game. « It was a tough day, I did not play that well but I was able to grind and not give up » sais Cianchetti, who as leader after the second round, was playing in the last match. « It’s been a nice fight with Federico (Maccario), I really enjoyed playing head-to head with him, until hole 17 when on his second shot he lost his ball for a double bogey and our gap increased. I hadn’t won for a while so I’m really happy and excited about the way I’ve handled the tournament, I always stayed positive – I think it’s one of my qualities, I try never to give up ! It’s been a very pleasant stretch of three tournaments here in Egypt, I’ve loved the courses ; now I look forward for next tournaments ». Scrimshaw, 26, posted the best round of the day – 68 (-4) – with six birdies and two bogeys, and was able to get in the mix coming from behind – he was 9th at -1 after two rounds ; he was actually leading at -6 for a while, after Cianchetti made a bogey on hole 10 to go -5, but a bogey on hole 17 narrowed his chances of a playoff. 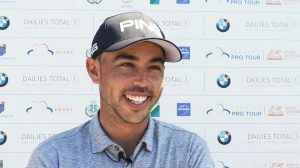 « I never looked at the leaderboards during the round, then I saw my name on top and lost concentration », he said ; he is nonetheless showing good form and consistency, with four out of five events in money on his fourth season in the Alps Tour. 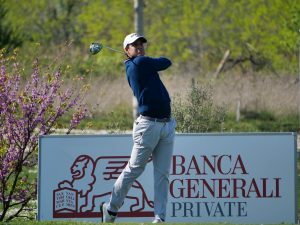 After five tournaments, Cianchetti now stands on 6th place in the Order of Merit, where the leader is another Italian, Lorenzo Scalise, winner of the previous Egyptian event – New Giza Open.